In a previous blog post, we identified effective starting points in kickstarting your digital marketing efforts. Social media, email marketing and blogs are simply tools in your publicity and engagement initiatives. To ensure that you’re using these starting points and tools effectively, you’ll need to be guided through the proper digital marketing strategies by expert business coaches. The two most effective strategies you should know about are Inbound and outbound marketing. A direct advertising port into the digital world, Outbound advertising is about reach, repetition and impact. Making use of potent, targeted concepts and campaigns, this kind of marketing is about using all available channels to reach your audience. Outbound marketing is a disruptive form of marketing that seeks to get the attention of audiences through vivid imagery, novel concepts and prominent placing. Typically, this strategy can be relatively expensive as it requires investment in attention-grabbing ad placement and production. But the end results can be well worth it. Inbound marketing revolves around pulling in audiences organically through search engines, social media presence and word of mouth/social media. Its main approach in engaging audiences? Providing value through useful, relevant and context specific content and content offers. By demonstrating industry knowledge, sharing insights about your product/services and showing your audience that you understand them and their issues, you’ll build bonds between your brand and the audience that will eventually encourage them to become customers. Inbound marketing is about reaching out specifically to your brand’s target market. By creating content that matches their interests and needs, your target market will come across your brand at some point. Needless to say, your strategy in “getting found” should be accurate and painstakingly developed to maximise your chance. This approach is all about engaging audiences who are already interested in the field, products and services that are parallel, similar, directly or tangentially related to your product/service. While inbound marketing uses similar media and tools to outbound marketing, its focus is on being beneficial to the brand’s market. Therefore, it uses channels that those audiences prefer. From blogs to social media pages, everything should be selected according to research data and your understanding of your audience. Is there room for both strategies? While the two strategies may seem mutually exclusive, when correctly used together the results can be improved exponentially. Outbound marketing is perfect for getting the word out, casting a wide net and letting people know about your brand. To complement, you can use inbound marketing in engaging audiences who are genuinely interested in what the brand has to offer. 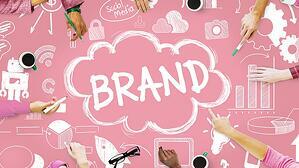 Think your business needs more help in marketing your brand? Got questions for other aspects of your business operations? Schedule a free, no-strings-attached consultation with a myCEO business consultant.